Disclaimer: When you are in the southern hemisphere it is easy to get your sense of direction a little confused, especially if geography isn’t your strong suit. That sense of confusion can be exacerbated by changing seasons as well–from fall in Northwest Arkansas to spring in New Zealand in the course of a 13 hour plane ride. 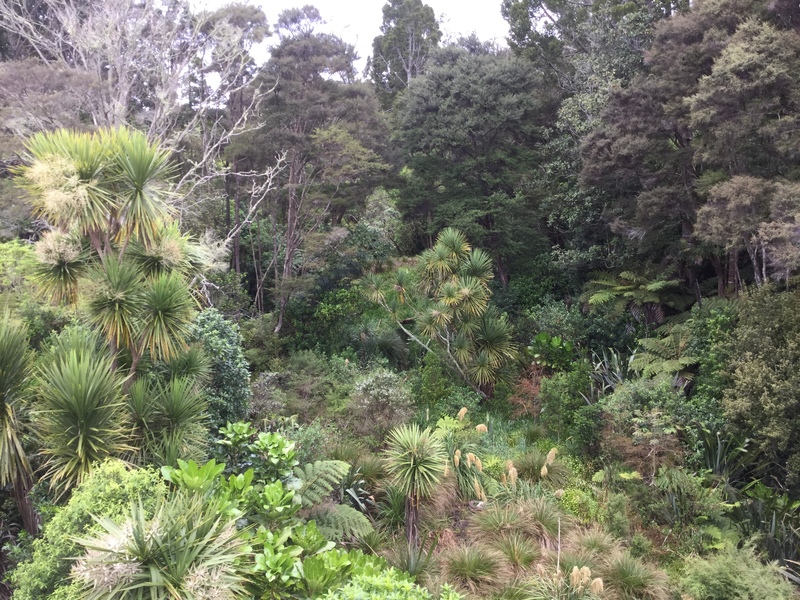 Given the upheaval, my sense of place, time, and context was a bit out of sorts by the second day of school visits in New Zealand. We traveled in a direction that I thought was easterly that morning. 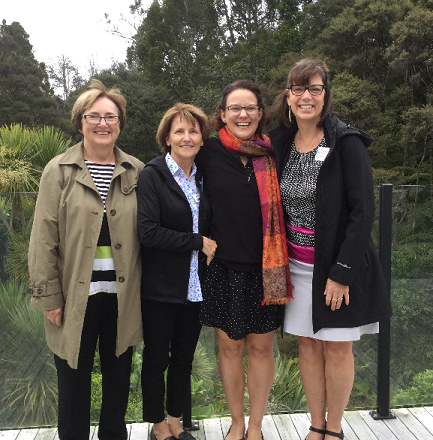 So, it is no surprise that when our colleagues from CORE described the community of the school we were visiting, I really had no idea how to situate the colloquial term for its residents–‘Westies’. 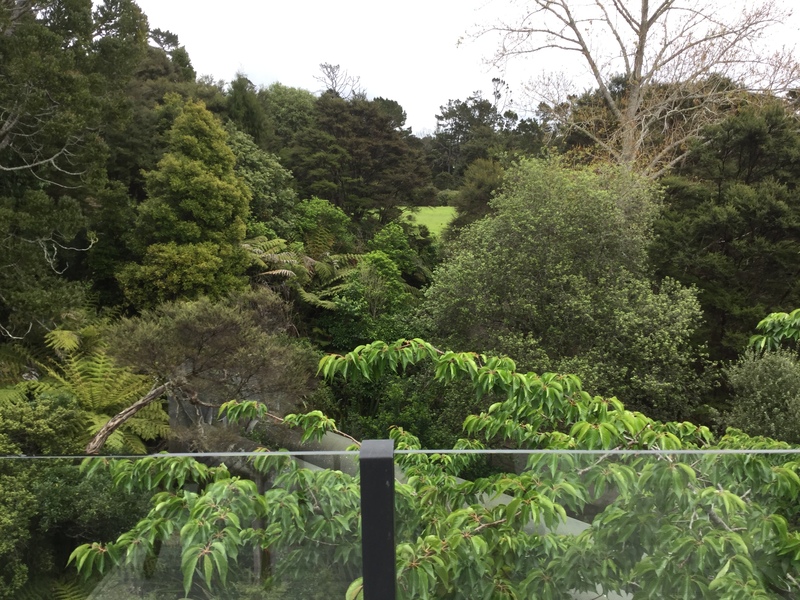 It took me a bit of the morning, as well as some wonderful coffee, before I realized we had traveled west and north of Auckland. Kaurilands School, a primary school serving 800 students age five through 11 (approximately), proved to be another inspirational visit. 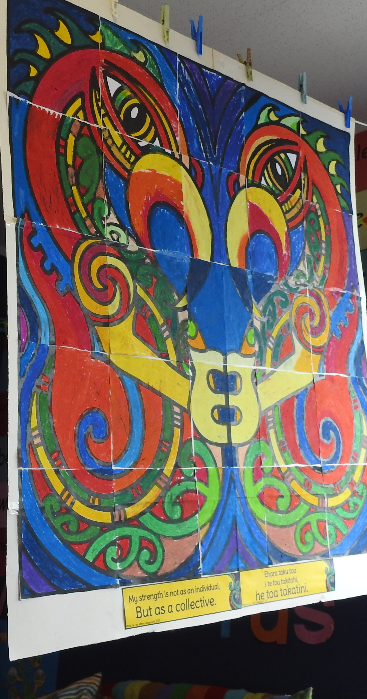 As the day unfolded Kaurilands’ staff and students demonstrated how identity and unity co-exist to benefit learners and their community (15% Māori and Pasifika) . It is evident in their vision statement, “Together we are passionately nurturing the potential of every learner”. It was evident in their welcome. We were treated to a traditional Māori welcome as we processed into the school’s large gathering room. 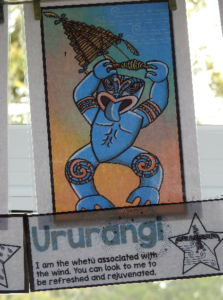 A welcome song was followed by a Haka. 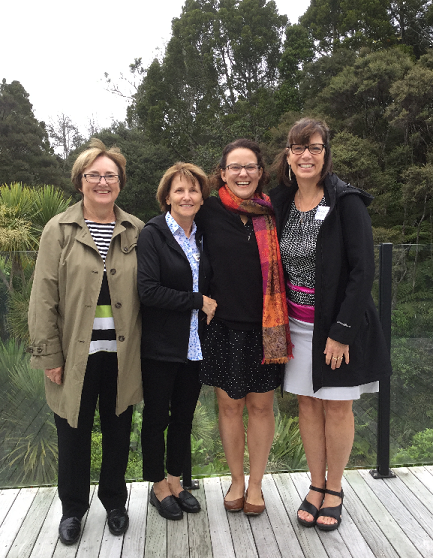 Next, the principal shared a welcome message which included the words of Dame Whina Cooper, a Māori activist. So will the shape of Aotearoa”. Aotearoa is the Māori word for the islands that comprise New Zealand. I connected to these words immediately, remembering the learners I’ve had in Arkansas and how well they responded when we cared for them as human beings as well as learners. I connected with the values they shared as well. 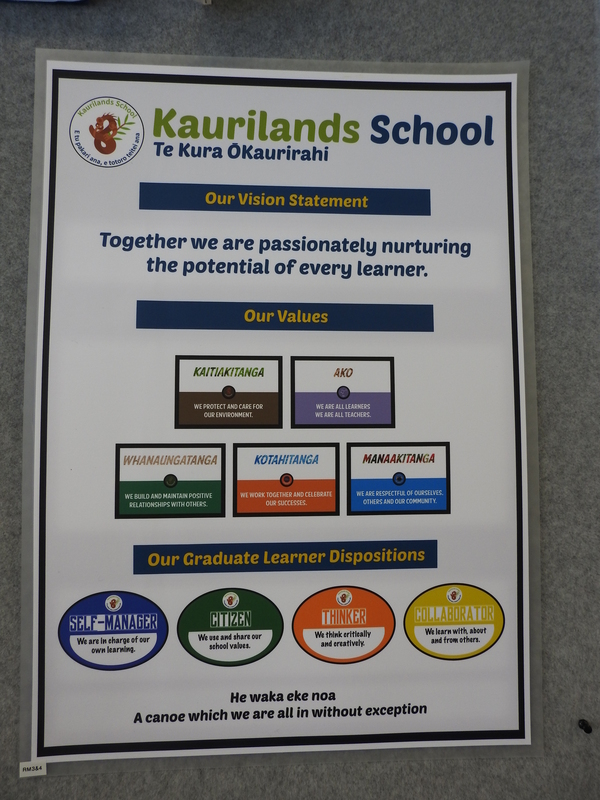 Adults and students at Kaurilands use a language of learning to help stud ents develop their identity and agency as learners. 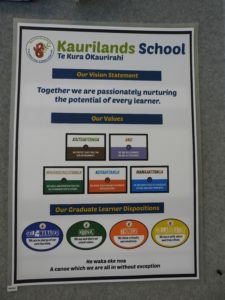 Similar to other schools we had visited, the language of learning addressed the key competencies expected in New Zealand, yet Kaurilands’ local, contextual influence made it unique to their community. The school focuses on four Graduate Learner Dispositions: collaboration, self-management, citizenship, and thinking. 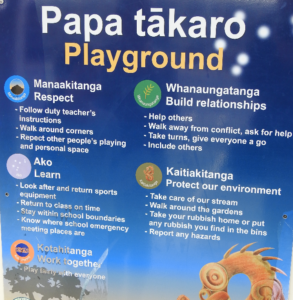 Signs throughout the school provide learners with words and pictures to help them apply these dispositions in different learning and play spaces. 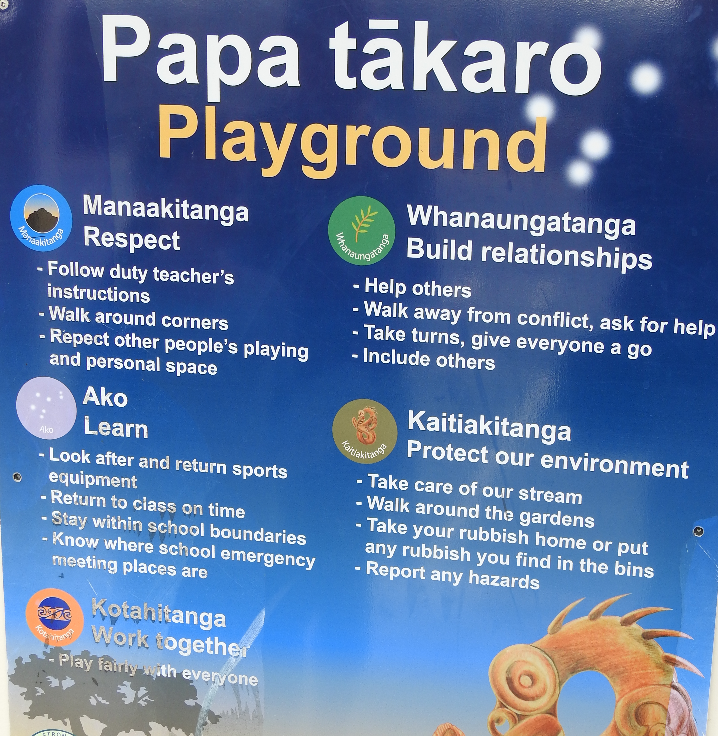 Honoring of the Māori culture as the language of their First Nation is evident in how posters and signs place Māori before the English translation. 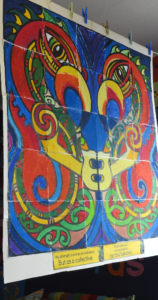 Māori sayings are connected and communicated through artwork as well. 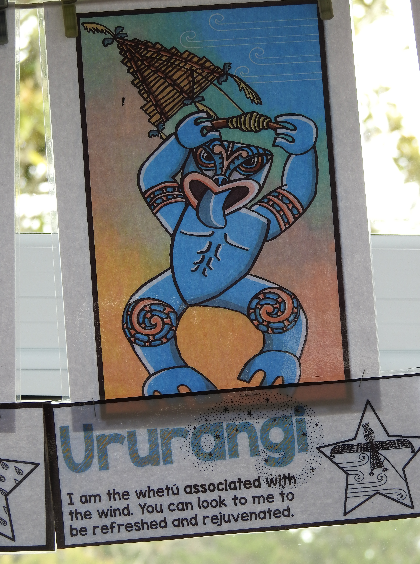 The artwork pictured here is captioned in Māori and English: “Ehara taku toa i te toa takitahi, he toa takatini. My strength is not as an individual, but as a collective. 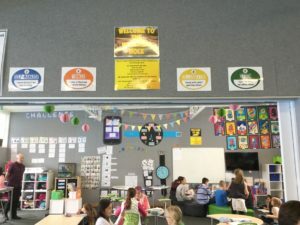 ” Students connect their unique identity in their cultural context to their identity as a learner. We were escorted on a tour of the school by student ambassadors whose pride and sense of accomplishment were evident. When I asked what they like about school one ambassador talked about how much joy she feels when she gathers together with other learners at the morning meeting (hui). The mixed aged meeting allows friends to welcome each other, sing a song together, and hear the morning notices before they begin their learning activities. During morning tea we talked to teachers about how they moved into personalizing learning for students. One way they started is through inquiry. Students have opportunities to pursue interests and passions that are important to them through inquiry projects. 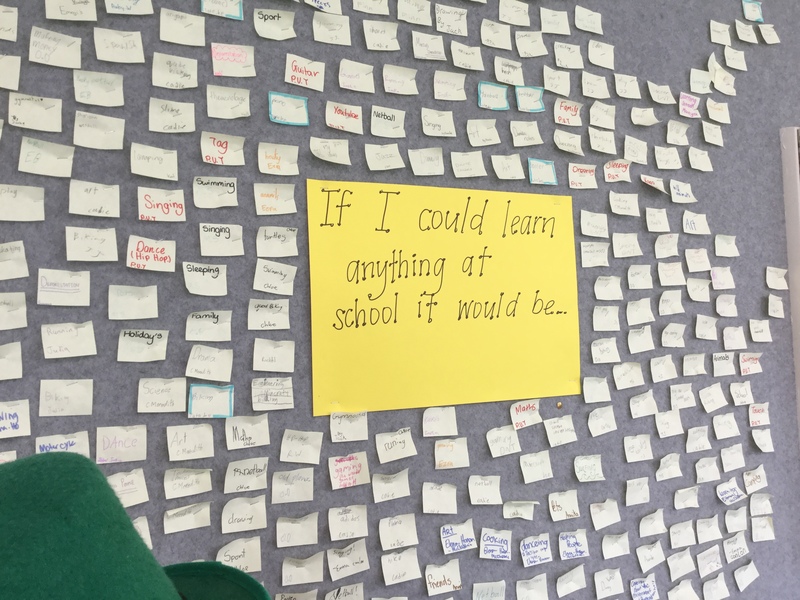 When asked how they manage to address so many different learning levels among the learners, the teachers spoke of how they use data they gather from students’ work to create a range of leveled workshops. 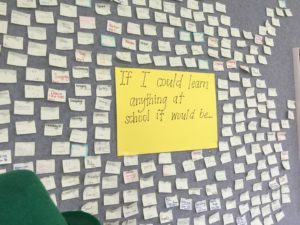 Students book into a workshop to meet their learning needs. Teachers meet with learners at least two times a week to discuss their progress and learning needs, and to help students think through their decision-making for learning. Teachers use a digital tool to make students’ learning progress visible to them. They use Google and Hapara to manage the work that happens behind the scenes to personalize each learners’ learning. 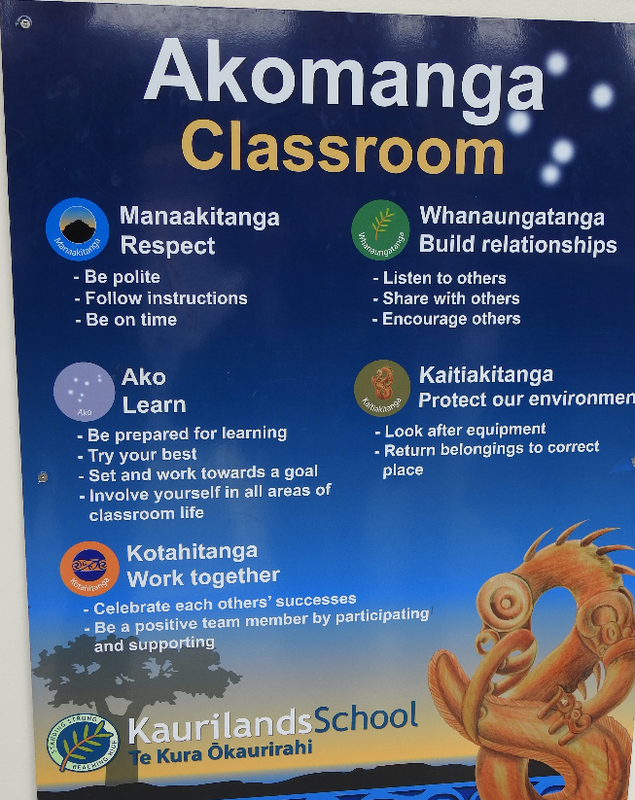 Read more about how a group of schools in New Zealand helped create the Hapara Teacher Dashboard and about the Manaiakalani Way that provided guiding vision for moving beyond the surface use of digital technology to its use in supporting deeper student-driven learning. At tea time I heard a phrase I hadn’t heard earlier in our trip–the phrase ‘single-cell’. 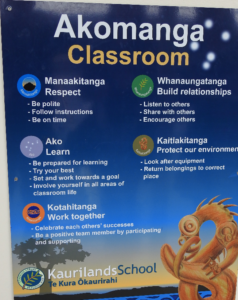 Kiwi teachers use it to describe a classroom where it is one class/one teacher. This phrase evoked an image of isolation for me and made me think of things like jail and solitary confinement or isolation, something that many of our US teachers feel because we still have so many ‘single-cell’ classrooms in our schools in America. In contrast, the modern learning environments in Kaurilands and other schools we visited have intentional collaboration space, such as the watering hole seen in this picture. You’ll hear more about ‘single-cell’ classrooms in the next blog. I’ll share my learning from the visit to Glen Eden, a middle school that is shifting from many ‘single-cell’ classrooms to more collaborative teaching, and the challenges they are addressing along the way.